The sensational and extraordinary Tyler Alvarez had a phenomenal time as he attended the 2015 Hola Awards yesterday, October 12, 2015 at the Battery Garden Restaurant in New York City. 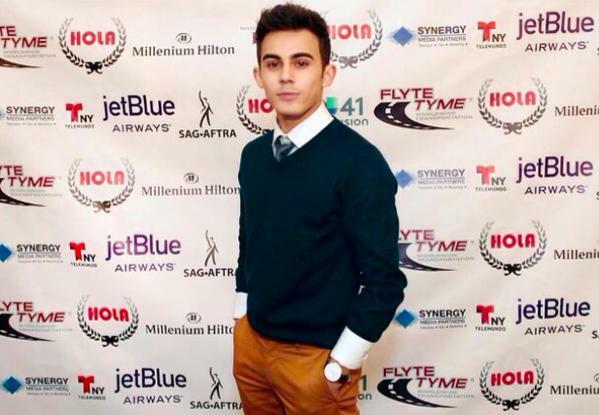 The immensely talented and stupendous, Tyler Alvarez looked so dapper as he attended the event. The “Every Witch Way” and “Orange is the New Black” star had a great time as he attended the event and caught up with many of his “Orange is the New Black” cast-mates who also attended. The remarkable Tyler Alvarez tweeted, “Benicio Del Toro your speech tonight inspired me in so many ways. One day I’ll be the head of the lion ;)”. What a spectacular event! I’m glad Tyler Alvarez had a terrific time! Check out my latest interview with Tyler Alvarez here. Previous Article: Breanna Yde Looks Marvelous As She Walks The Runway At Ivy Citizens’ LA Fashion Week Show! Next VIPAccessEXCLUSIVE: “Game Shakers” Cast Updated Interview With Alexisjoyvipaccess At Nickelodeon’s Halloween Event!